Island bend is on the road to Guthega. 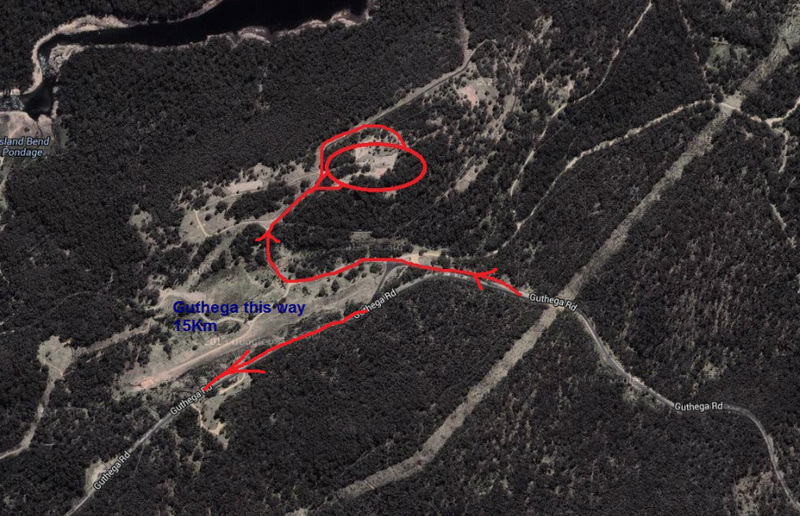 It is about 5 KM from the Guthega turnoff. There are signs for Island bend so as you approach the "Triangle Island" in the road bear right and follow the red road as show. In the circled are there are drop toilets. No fresh water or other amenities so you will also need to bring your own fire wood . There are drop toilets near the hut, no fresh water or other amenities so you will also need to bring your own fire wood .